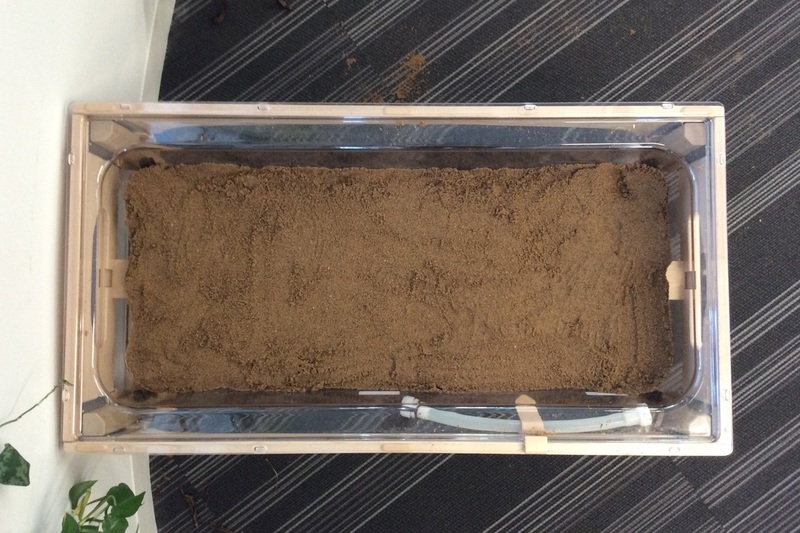 We have started what is shaping up to be our first major investigation: making a pond. 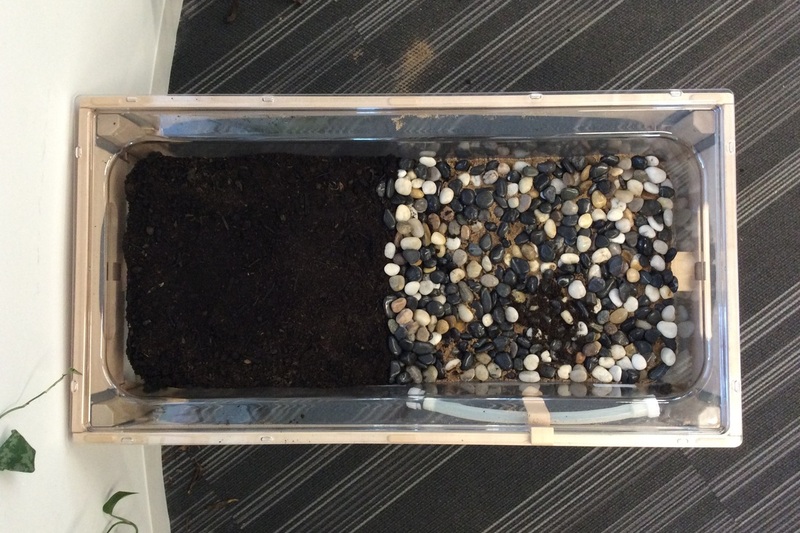 We are in the very early stages of learning about what is needed to make a pond and how we can feasibly build one... in our classroom. (Insert look of disbelief here.) This idea stemmed from a class brainstorm about what we want to learn this year. There were many ideas that involved natural materials like rocks, plants, trees, water, light, and so on. Somewhere along the line, someone mentioned making a pond. As we investigated all our ideas more closely, we realized that a pond could include many different kinds of things we wanted to learn about this year. And so we began searching for ways to realize this idea of making a pond. We agreed that we needed some kind of planning before we started trying pour water into anything. 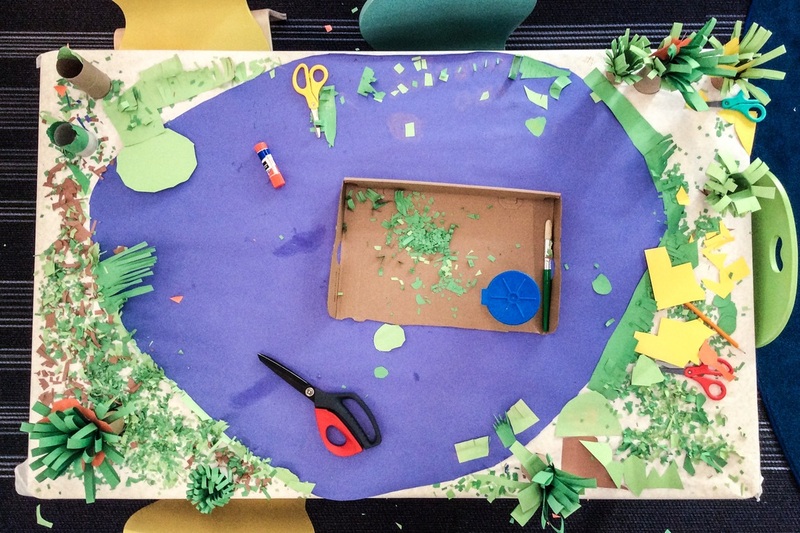 We searched the Internet for ideas to make a pond and stumbled upon a "Making a Digital Pond Online" link. This gave us a simple digital platform to drag and drop different species into a blank pond environment. 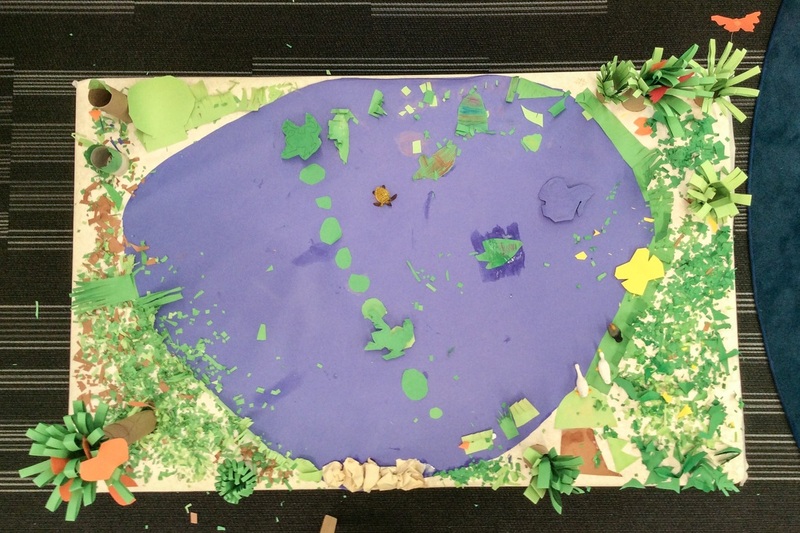 It also spurred more ideas for what we might want to include in our pond. With a little help from The Boy's Book of Adventure, we began our project with a single piece of white butcher paper taped to the top of the table. A layer of blue paper was cut out and glued to make the water. 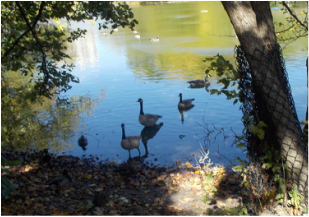 We did a Google image search for "ponds" and closely examined aspects of different pond pictures we liked. Then, we started using materials, playing with ideas, and having some fun! THIS PAGE WILL CONTINUE TO EVOLVE AS OUR INVESTIGATION CONTINUES. CONSIDER THIS TO BE A SORT OF DIGITAL DOCUMENTATION BOARD FOR OUR LEARNING. 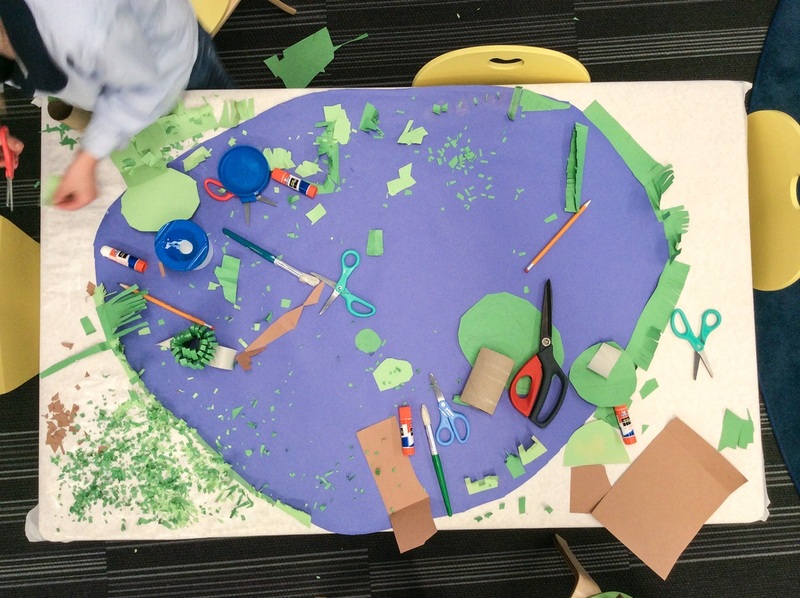 Below you will see images of our paper pond construction. This will be an ongoing project that will help to guide the planning of our real pond. 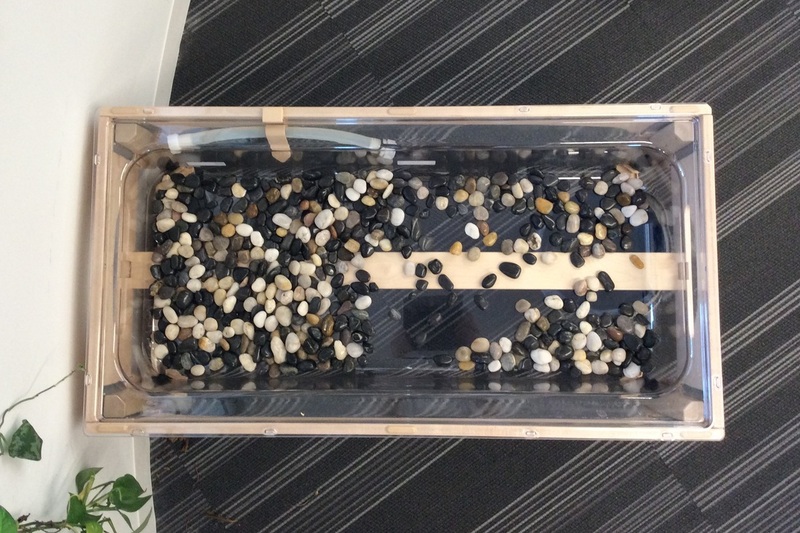 The idea is that we use various materials to create a three dimensional pond that we will hopefully recreate with real elements like water, rocks, plants, etc. This is going to be a lot of fun! A table wrapped in white butcher paper with a blue "water" shape glued on top. 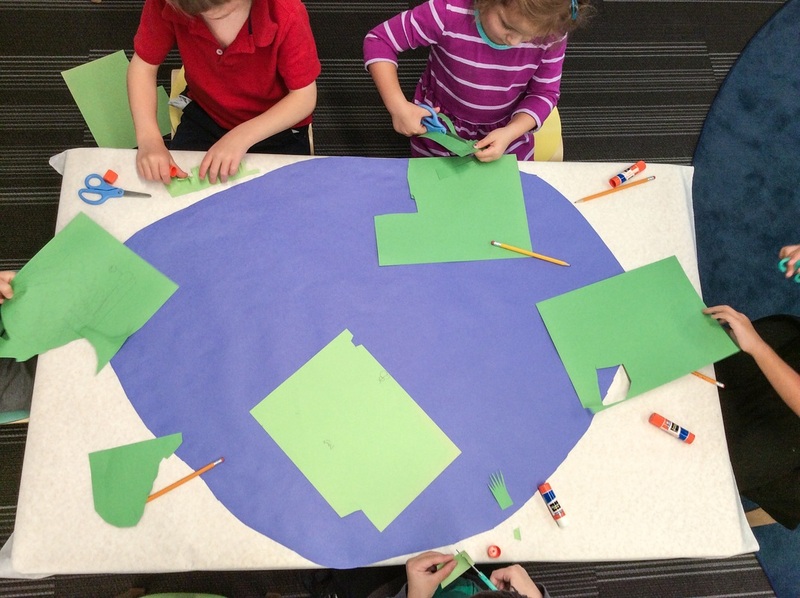 Green construction paper to make grass. Cardboard tubes and carefully cut green paper adds the look of trees and shrubs. Brown paper added for dirt underneath the grass and toilet paper tubes for tree trunks. Brilliant! Green lily pads and frogs, orange butterflies, and off-white rocks all added in one day! 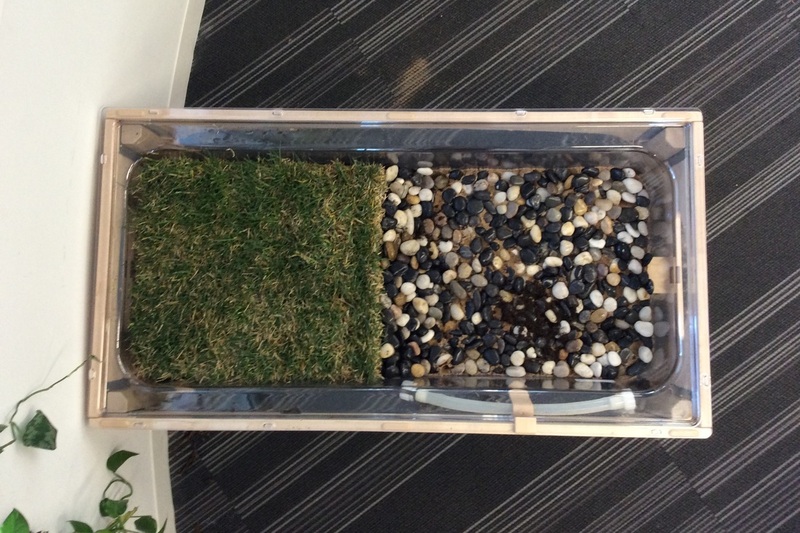 Dirt and grass take on a new texture with confetti cuts and liquid glue used like paint. Can you see the goldfish? If you look closely, you can even see a turtle. 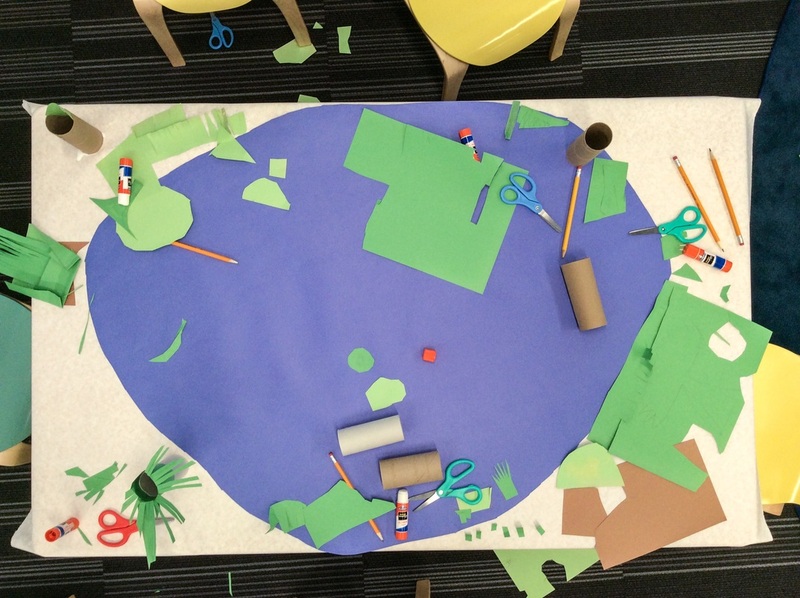 After many weeks of reading, watching videos, singing songs, and building a paper pond out of things we had, our class had a chance to take our knowledge out into the real world and experience it first hand. It was a thrilling experience for the children to make connections between what they had learned about and what they saw. 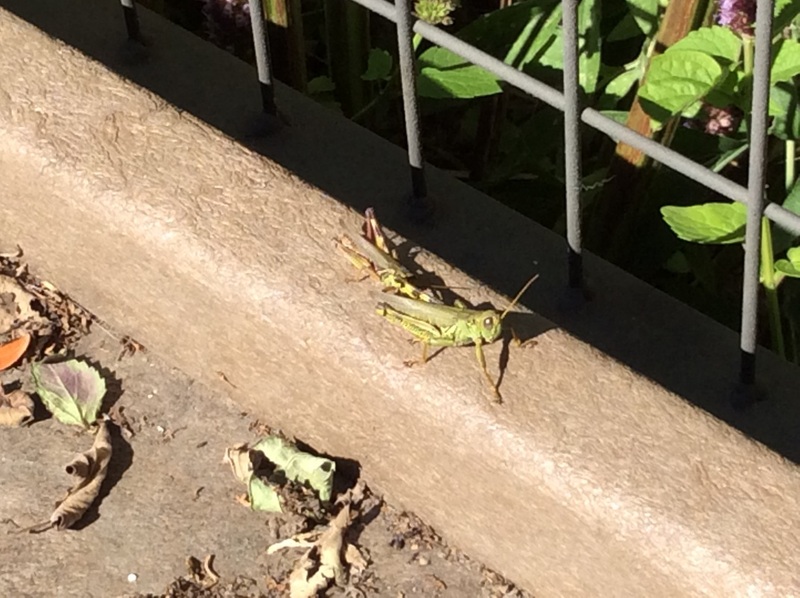 Below is a collection of pictures, captured and selected by students, that focus more closely on individual snapshots of our observations, curiosities and thoughts. With all the digital content we captured, we will lots of personal experience to reflect on, learn from, and apply in our work ahead. 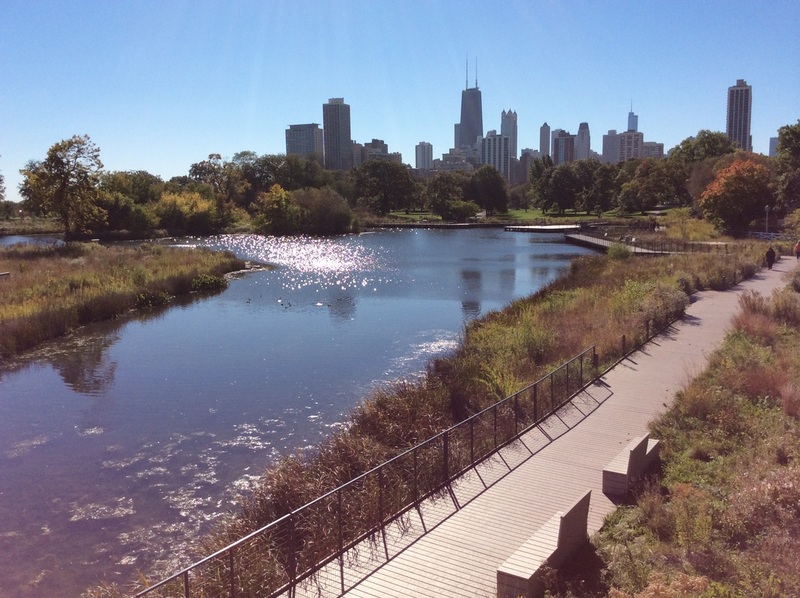 An overlook of South Pond from the Nature Boardwalk at Lincoln Park Zoo. Rocks and dirt near the water's edge. 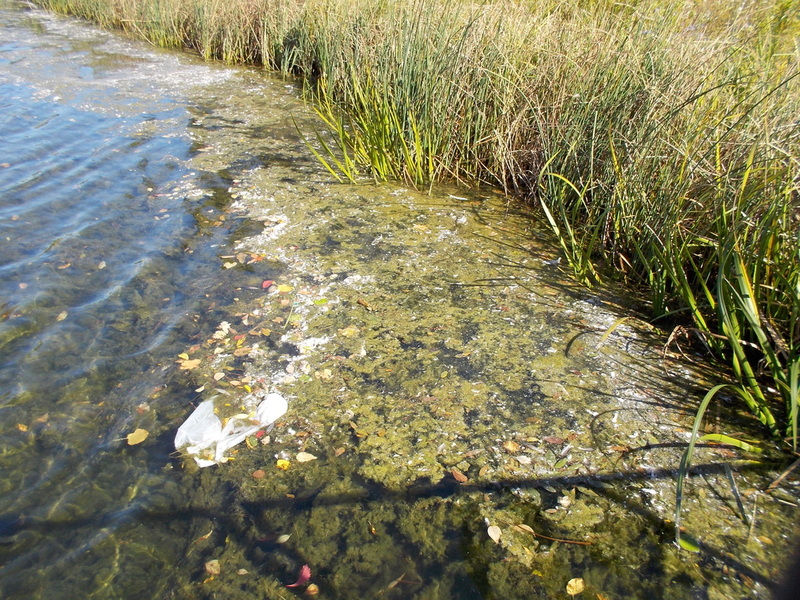 A close-up of "where the water meets the land". What do you see? Do you know why tree leaves change colors? Friendly city geese exiting the water. 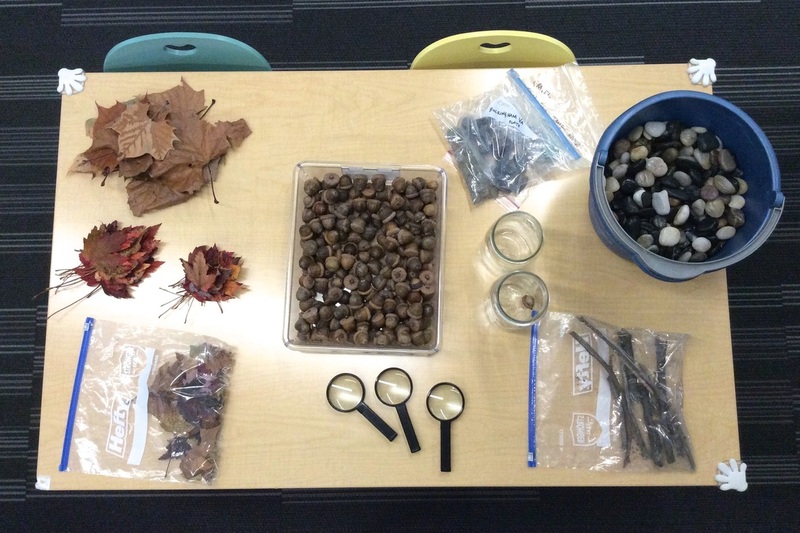 Throughout our time investigating our natural environment at school, home, and during our trip to ponds, we have been gathering a variety of natural materials such as sticks, rocks, leaves, and acorns. With most of the materials we collect, children enjoy sorting and organizing them according to their properties. 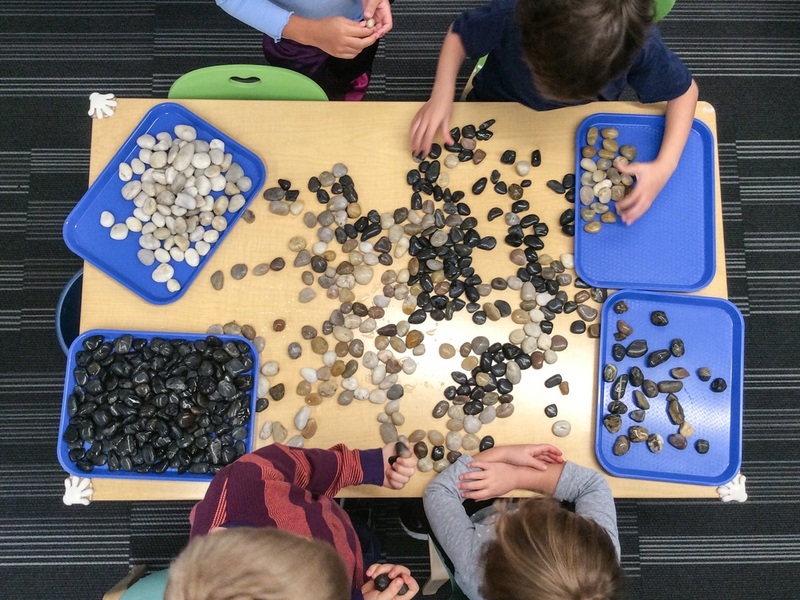 Sorting materials is a great early science skill to practice because it requires children to identify relevant properties (color, size, shape, etc.) and sort objects into their best fit. As you know, objects can possess more than one property and that offers opportunity for problem solving. Examples of this happen during our materials sort. In the pictures below you will see materials that appear to have many characteristics, some obvious some not, and force children to make decisions about the categories they wanted to use and placement of each item. On our trip to the ponds, we marveled at the variety of colors on the trees and of the leaves on the ground. 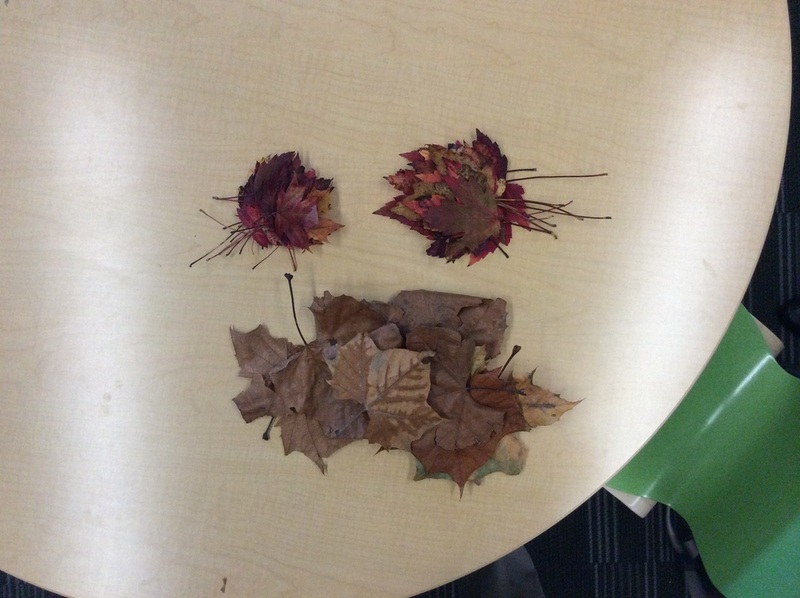 Children wondered how leaves could change colors and asked if we could collect some. We brought a couple bags of leaves back, being sure to keep them flat in our backpacks. When we got back to school, we sorted them and picked some leaves to try and preserve. We tried to preserve them using a simple solution of water and glycerin. We also tried this with some acorns but have yet to decide what to do with our final products. 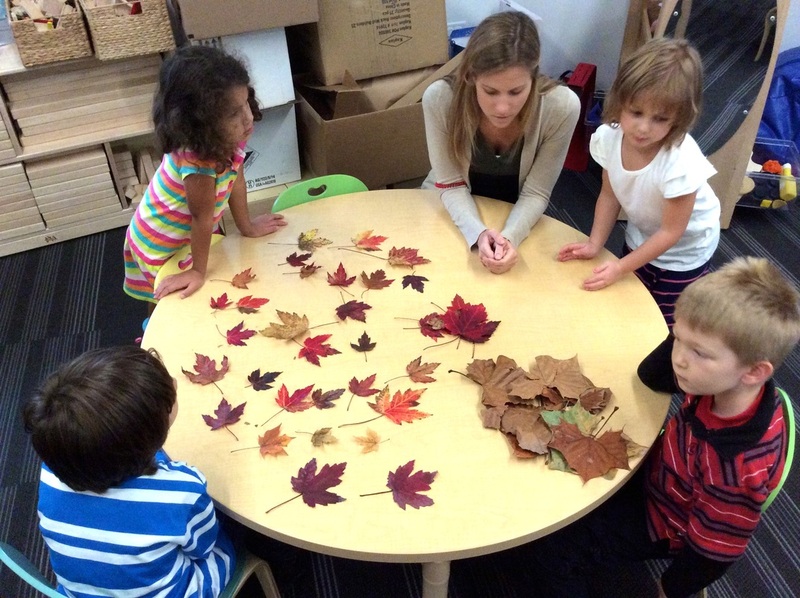 Children and teacher examine the leaves in preparation for sorting. The final leaf categories: small, medium, big. 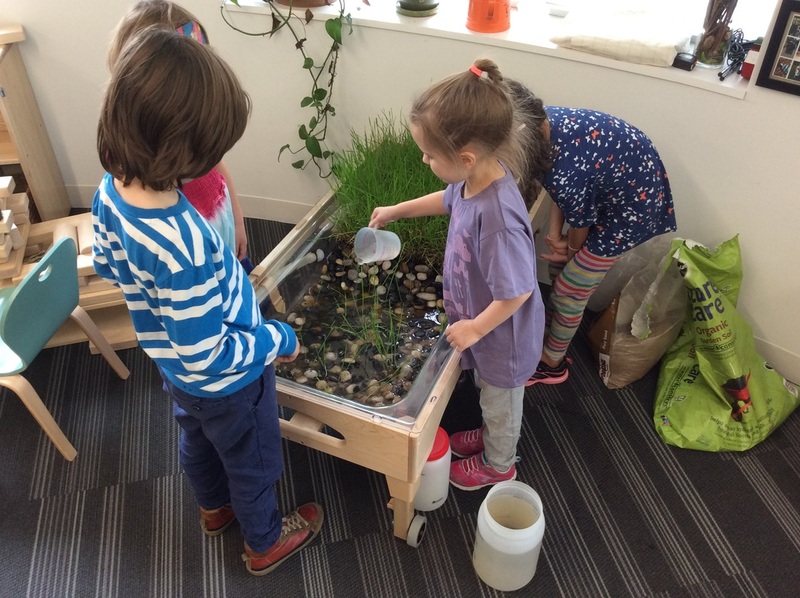 Our water table is the most likely home for our classroom pond and in preparation for building, we need to know how much material it can hold. We used a set of liquid measuring containers to measure how much water would fill the table. This activity was an excellent opportunity to estimate. It was also an appropriate opportunity to talk about two states of matter; solid and liquid. 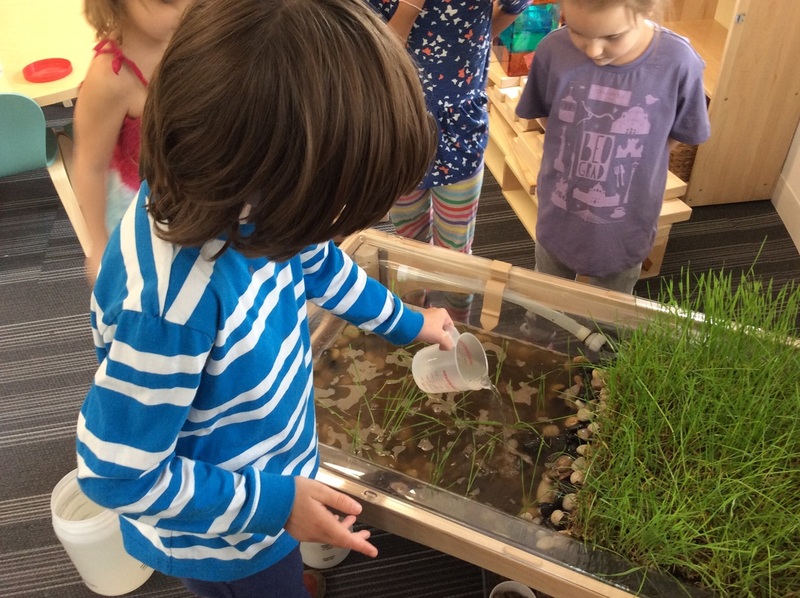 We then took some time to preview what might actually go into our pond, which will most likely include a combination of solids and liquids. 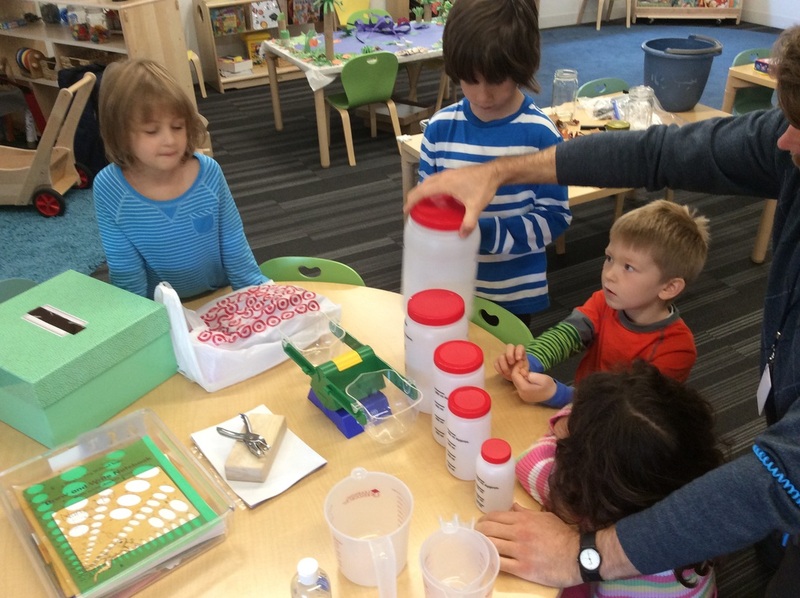 Children decide which measuring container would be best to use for measuring. They chose the largest container; a one gallon jug. As we poured each gallon into the table, we kept count with tallies. 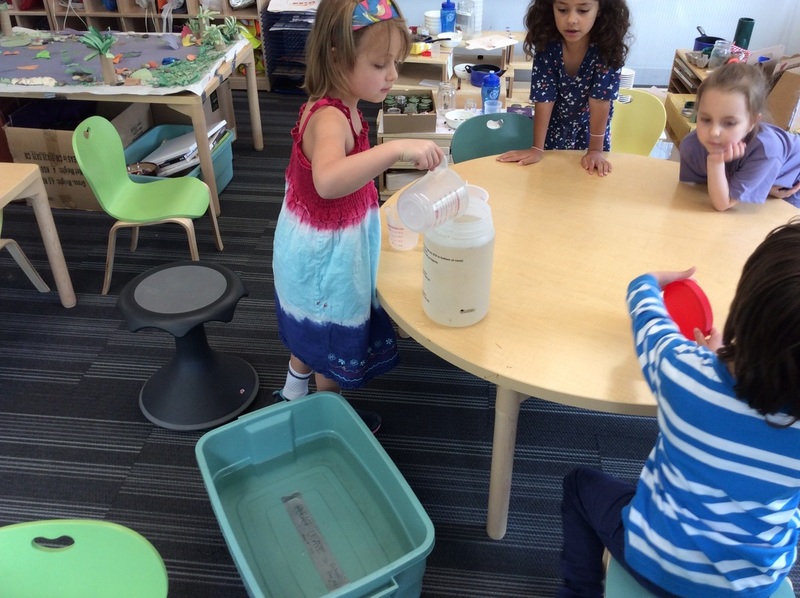 Our water table holds 18 gallons! 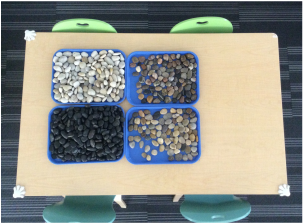 A large supply of rocks was donated to our classroom and in order to get acquainted we our new material, I dumped the bucket of rocks out on a table. I didn't even have to say a word to the kids and they immediately started picking, chatting, and organizing. 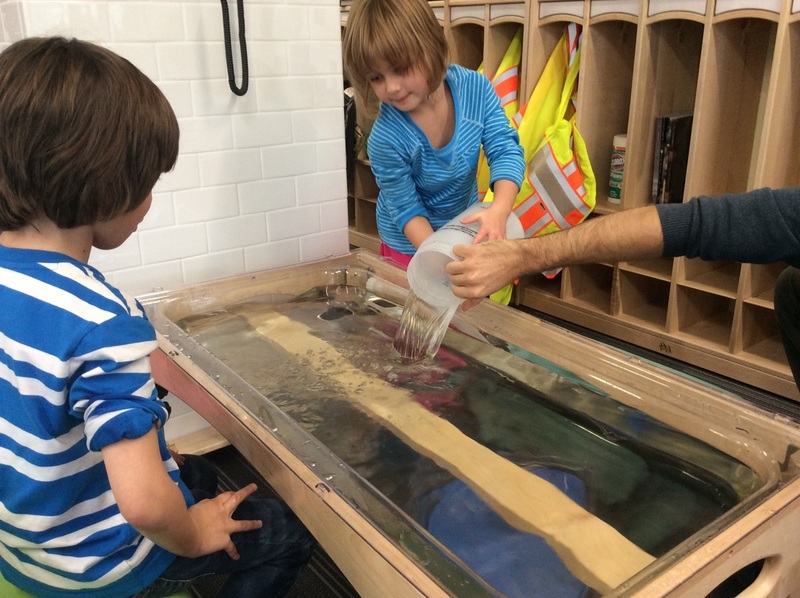 At this point, the sorting process is also a social experience that affords children an opportunity to work with each other with a kind of interest and curiosity that comes naturally to children. 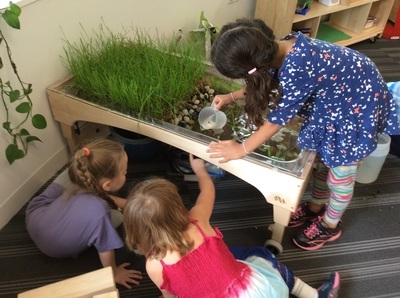 The kind of cooperation and discussion amongst the group is fascinating to watch because the children look and sound like a young group of scientists analyzing and trying to make sense of a newly discovered material. This kind of experience is a clear demonstration of their ownership over a learning experience that has now become familiar and enjoyable. 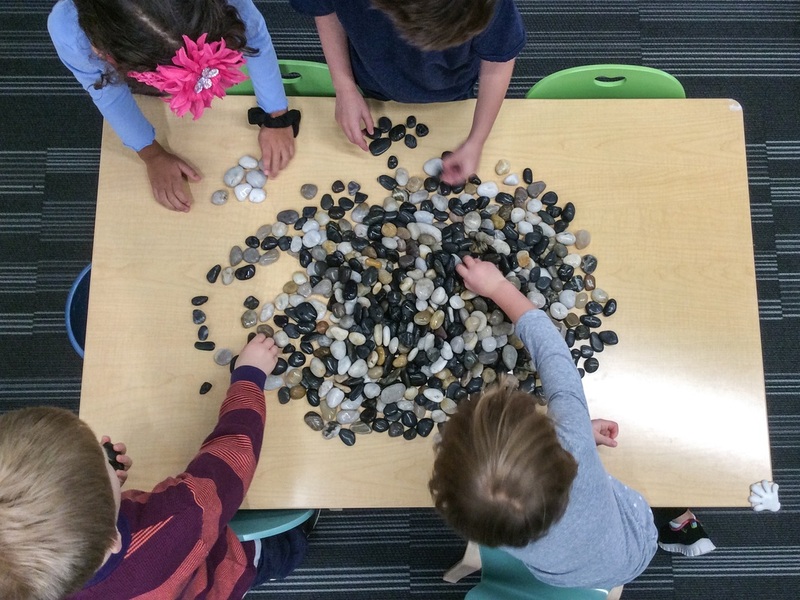 A pile of rocks in the early stages of sorting. Four preliminary categories selected based on visual appearance. The final categories: black, white, salt, and milky wave. These were the categories names chosen by the children. 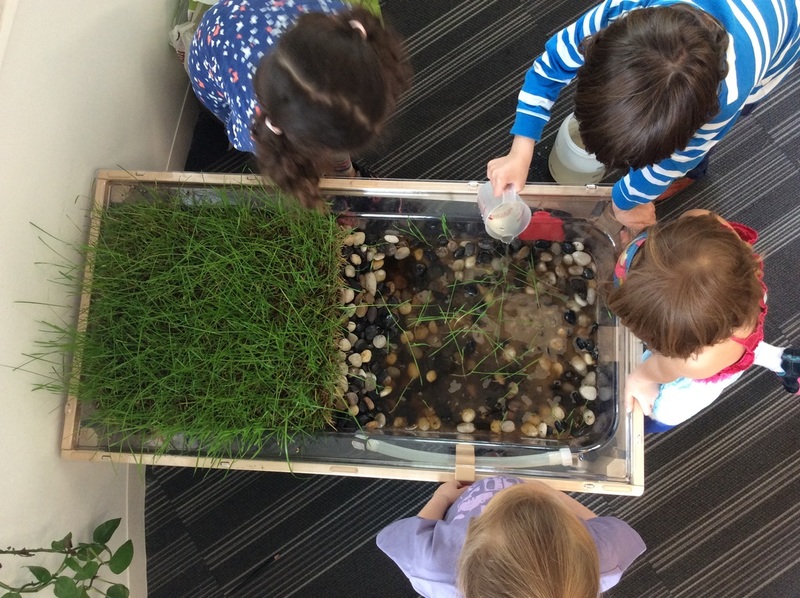 The idea to build a classroom pond surfaced in the fall. 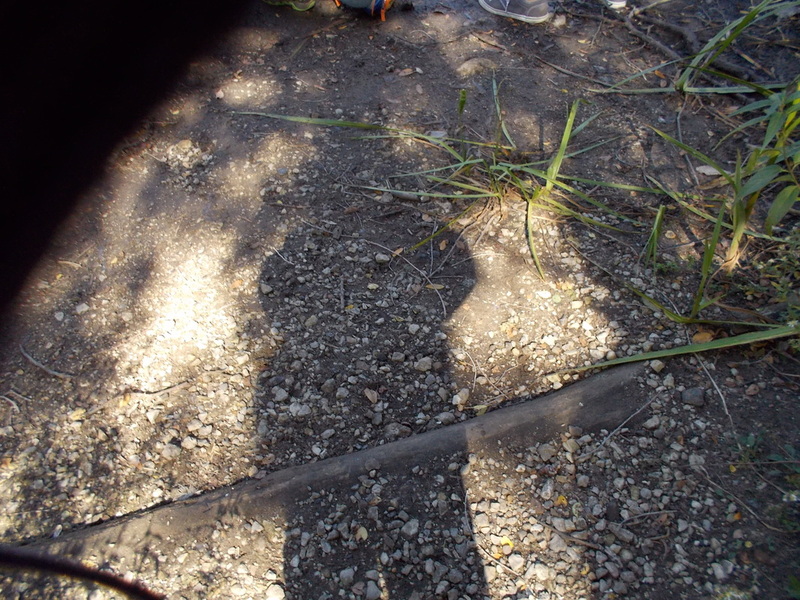 By the time we did all our research and initial investigation into ponds, it was about winter time. At this point, interest in the pond waned until the early signs of spring starting showing itself in March. Once the interest was reignited, we examined our pictures from our fall field trips and talked about the materials we needed for a pond. We all agreed on rocks, sand, dirt (soil), plants and animals. There were differing opinions about the kinds of plants and animals that we should include, but we sorted these out by deducting which types could live independently in our classroom pond. Without a doubt, one of the most challenging parts of creating our pond was getting the right kind of water. 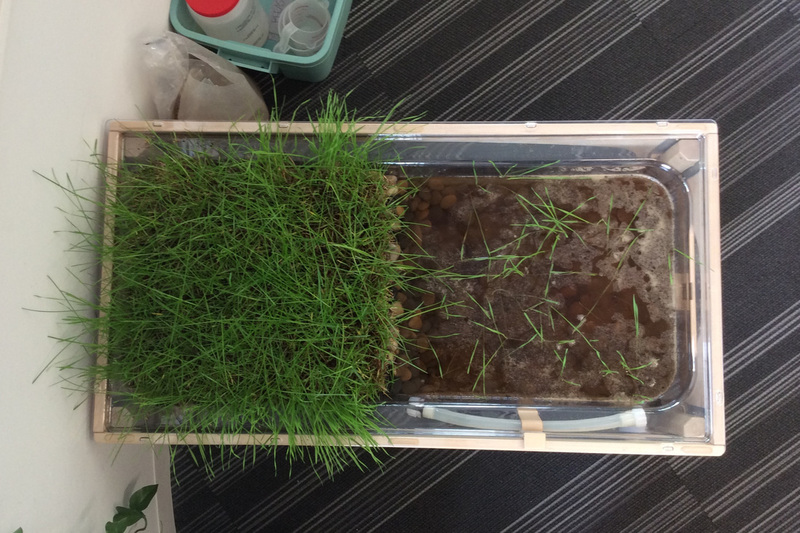 From our reading, we had two choices: collect rain water or water from a real pond because it will allow "healthy" bacteria to grow. 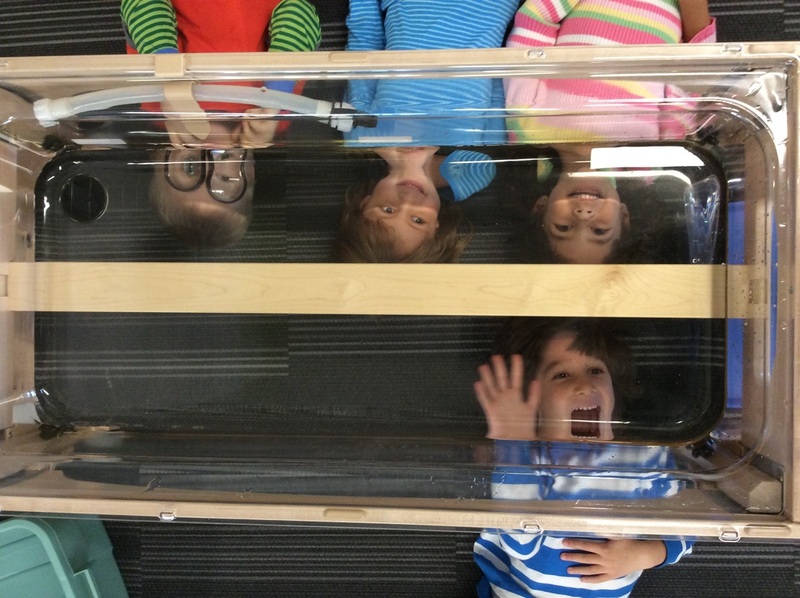 Students chose to catch rain water so it took a couple weeks for us to wait for rain. Fortunately for us, Chicago gets plenty of rain during the spring months! 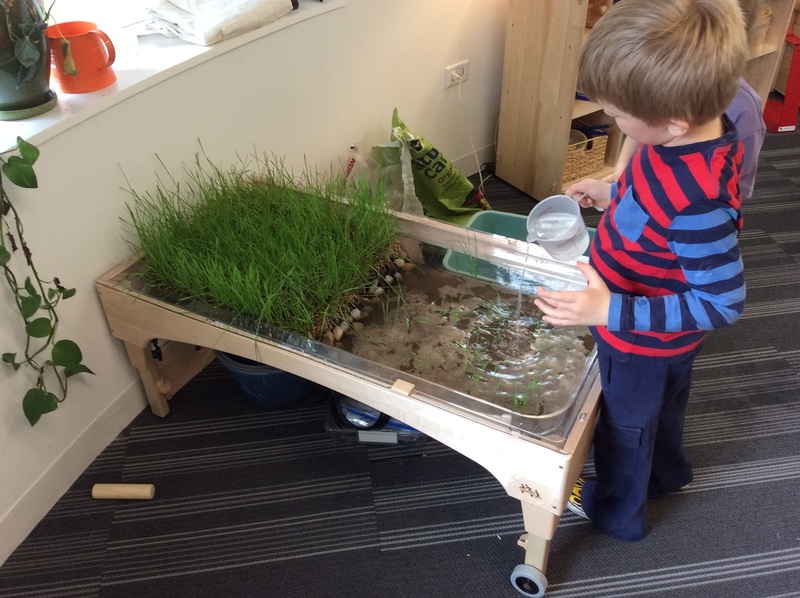 The water table before the project began. 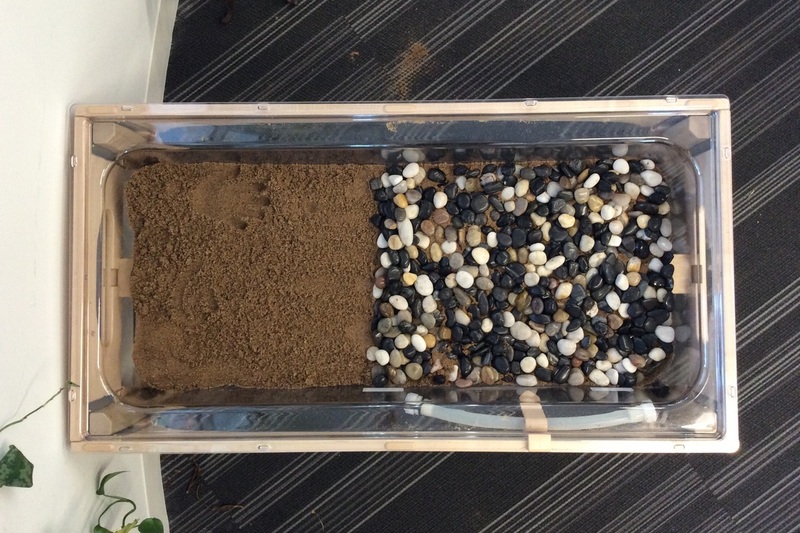 We took all the rocks out before putting in sand. 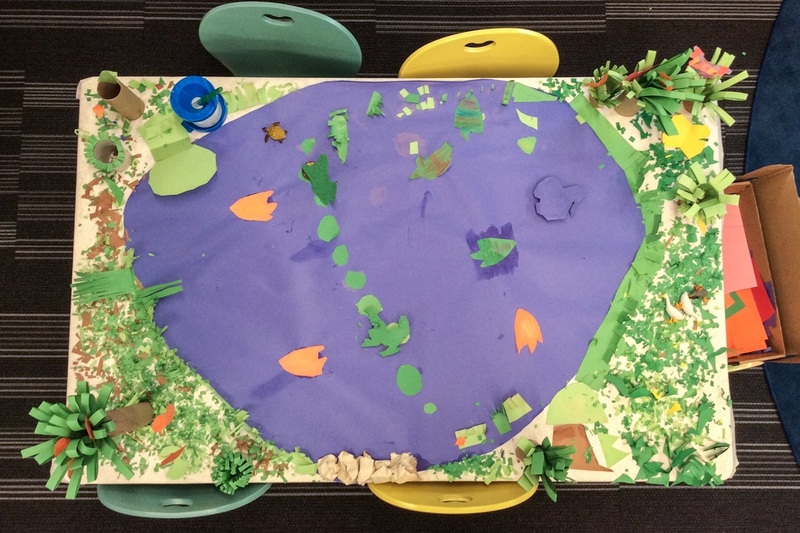 This section is meant to share many of the resources our class has been using to learn more about the wildlife and biology of pond habitats. Here is a list of vocabulary we have been learning with our pond investigation. We have been working with our Spanish teacher to learn the Spanish words and incorporate them into our project. The video (above) is a Spanish song that helps us learn and practice some of these new words.